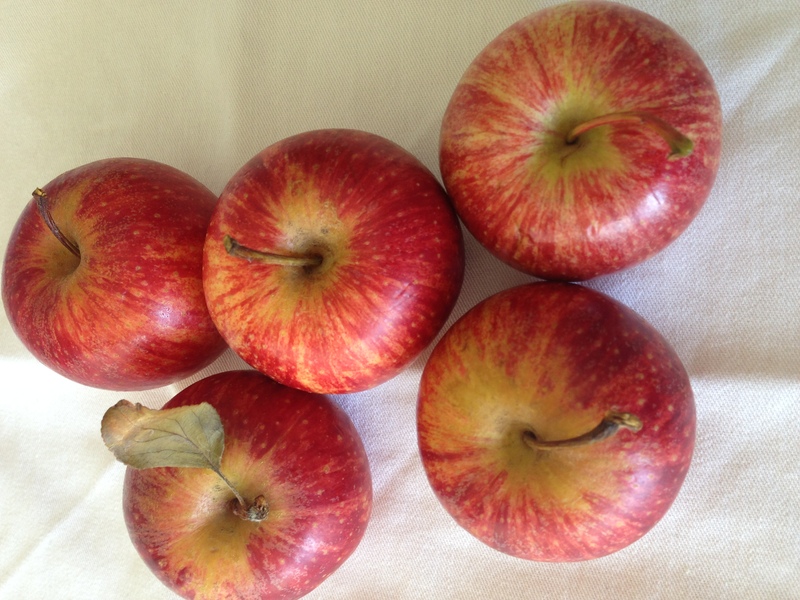 A recent excursion to Bilpin in NSW introduced me to the exquisiteness of fresh apples. When I say fresh, I mean picked from the tree moments before eating. I am guilty of popping into the supermarket on my lunchbreak to stock up on apples for my daughters’ lunchboxes but after trying these amazingly fresh apples I won’t be doing that again. Anyway a group of food bloggers did a tour of an orchard, where it was all systems go in the packing sheds. Then we visited a pick your own orchard, which was so much fun. We were given delightful little straw baskets to fill with produce, and I felt quite relaxed and happy as I chose the most wonderful apples from the tree. The difference between freshly picked Australian apples and the often floury, picked-months-ago-and-kept-in-cold-storage numbers from the supermarket couldn’t be more stark. Greengrocer 1, big chains 0. 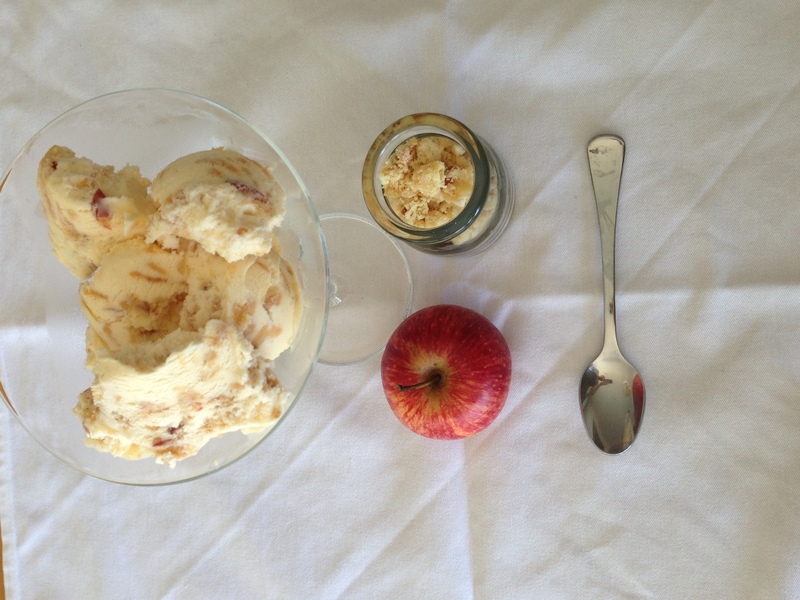 I used some of these beauties to create an easy apple ice-cream by the fabulous Donna Hay. The Hungry Dad declared it one of the best he’s ever had, which is strong praise indeed. 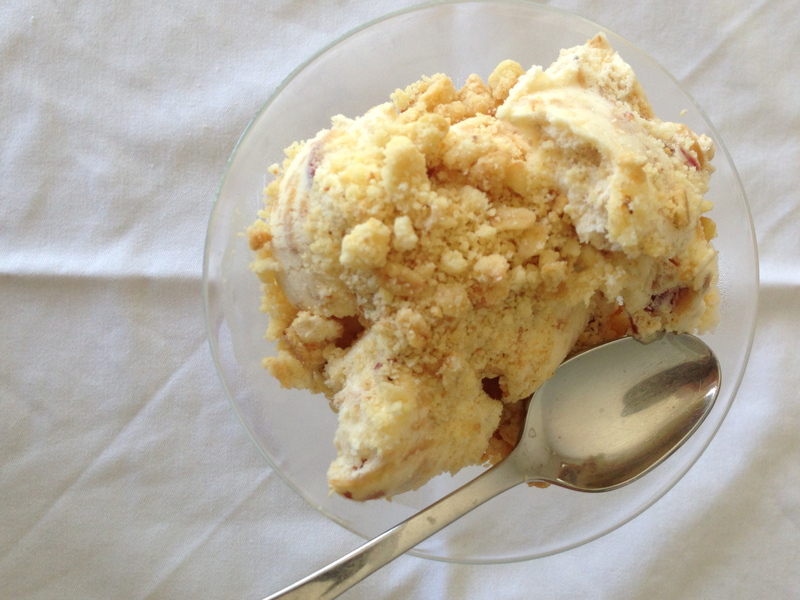 The best thing is, you don’t even need an ice cream maker – pretty cool, huh? Place apple, cinnamon, lemon zest and juice in a non-metallic bowl, toss and set aside. In a large ceramic or glass bowl put eggs, extra yolks, vanilla and sugar and place over a pan of simmering water. Using hand-held electric beaters whip for six to eight minutes, until pale and thick. 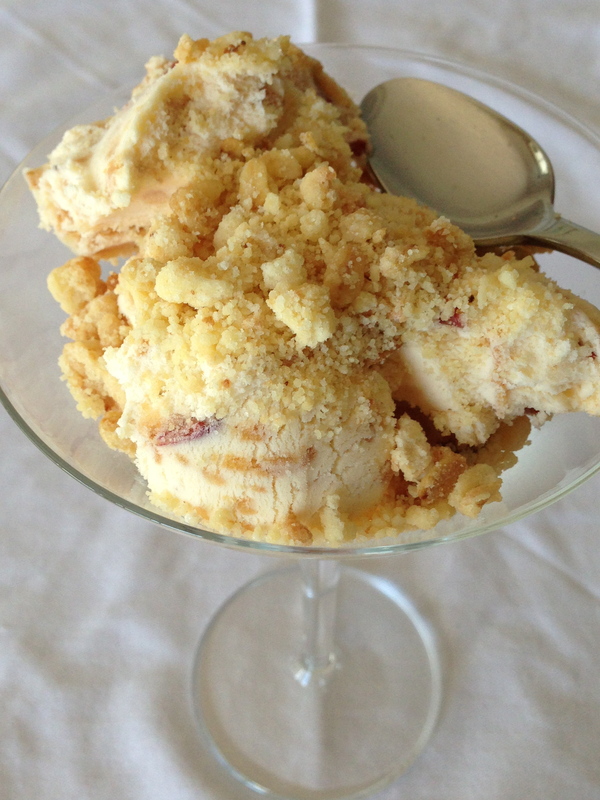 Place cream in bowl of electric mixer and whip until stiff peaks form. Using a big silver spoon gently fold in the egg mixture, stirring until incorporated. Pour into two litre metal cake tine, cover with foil and freeze overnight. 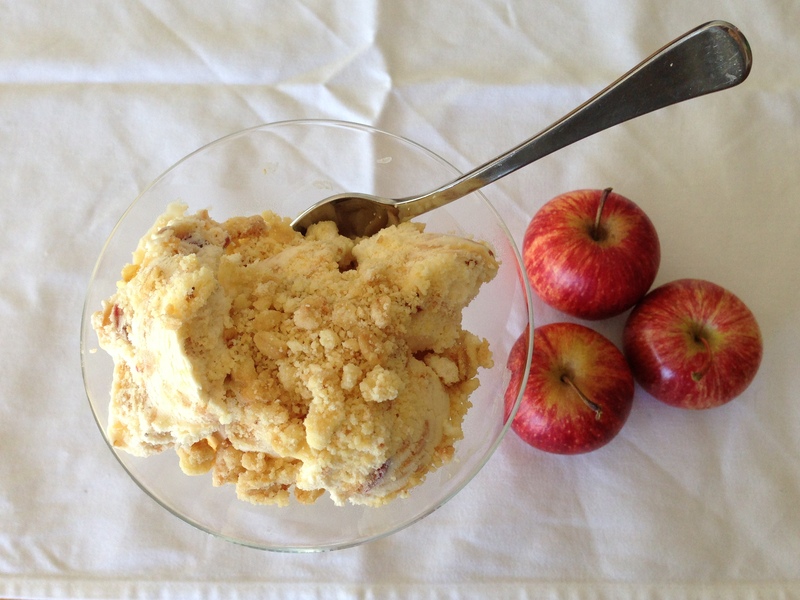 Serve, then top with crumble. Place flour, sugar and oats in a bowl and rub in butter until it is the texture of lumpy sand. Sprinkle over a dash of cinnamon and allspice. Tip onto baking pan & bake for around 15 minutes at 150C or until golden. Cool before using.